Double Road is an artistic project with contemporary positions from Bangalore, resulting out of a collaborative and discursive process, which will be presented in Munich, Germany in 2017. 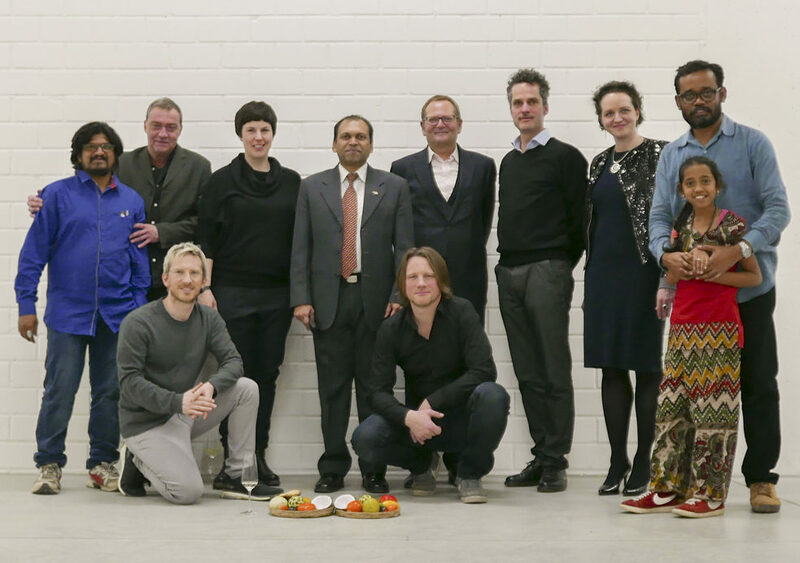 An innovative approach to sustainable cultural exchange, the concept of Double Road is based on deepening existing professional collaborations, developed after several Munich-based artists participated in the bangaloREsidency project. Christian Engelmann, Beate Engl, Maximilian Erbacher, Fabian Hesse, Hermann Hiller and Ralf Homann are co-curators and producers of the project. In another connection, the cities of Munich and Bangalore share many similarities, as centres for media and high-tech, and both cities boasting of a thriving and exciting cultural scene. In fact Karnataka and Bavaria have an official partnership which turns 10 in 2017. Double Road celebrates both factors with a comprehensive programme in 2017 including a two-phase artist residency + final exhibition at three different spaces in Munich: Art-pavilion in the old botanical garden, Maximiliansforum and whiteBOX art space. In phase I, two artists from Bangalore are on a month-long residency at the whiteBOX Guest Studio in Munich. Suresh Kumar G. and Sridhar Gangolli are the first of 6 Bangalore artists who will travel to Munich. In phase II, in June and July four more artists will go to Munich: Suresh Jayaram, Bhavani GS, Navin Thomas and Yashas Shetty. Their works which contradict the common stereotypes will be exhibited at three venues simultaneously. The exhibition will be accompanied by some comprehensive events.